Attached are pictures, which though not great, can give you an idea of what is available. This is an estate sale. The Boat: Prox 27 foot at hull top, with two levels: Deck with cabin, Helm with control panel, and galley. The lower deck, at waterline, sleeps four, has a head, closet, and storage area. Currently licensed and Coast Guard inspected and approved, this boat has a 4 cylinder diesel Ford industrial engine mated to a British manufacture outdrive. It is in need of paint and some exterior clean up but the hull and structure, as well as the engine, is sound. Top speed approximately 18 to 20 knots. A great cruising or fishing boat for ocean or lake. 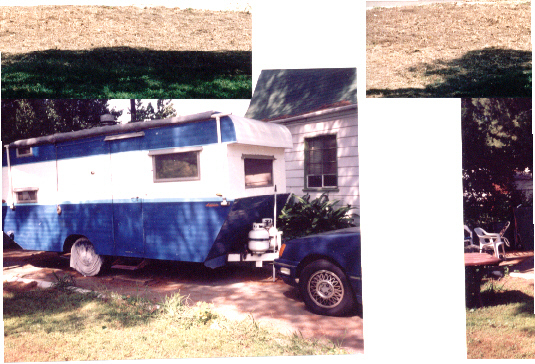 The trailer is a custom built, four wheel trailer with winch and rollers. The truck: Ford F150, with the big Windsor V-8 and low gear ratio rear end, oversized tires, a full camper, and dual tanks. 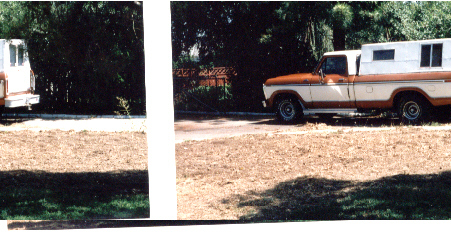 Though a 1978, this truck has less than 70,000 original miles on it and has been meticulously maintained. It has a new starter and ring gear, is a four speed stick, has new brakes, and runs great. If you want a complete package, with boat, trailer, and truck, here it is. Available to inspect in Whittier, California. For further information e-mail to: alfaron1@netscape.net , or call: 877-477-8264.